The above filly is a three year old by Spooks Gotta Gun. She shares her sires bald face, floppy ears and blue eyes, and also her fathers genetic deafness. 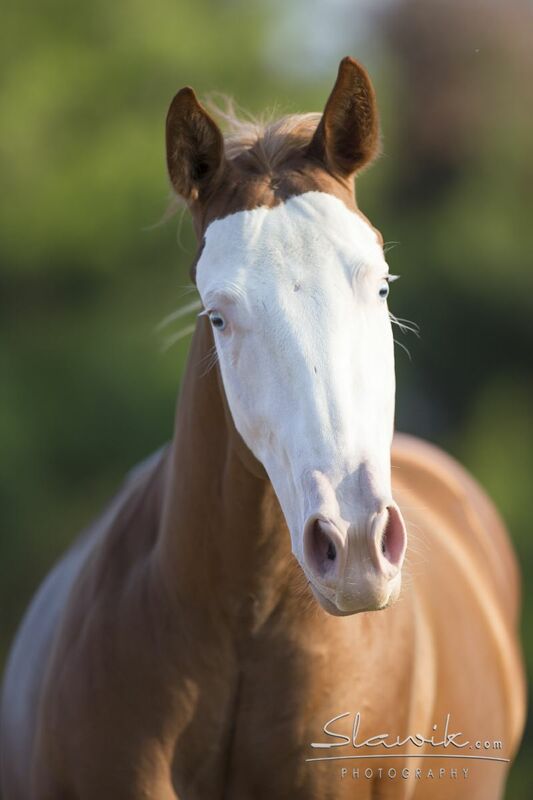 In a very interesting article titled “Equine Genetic Deafness”by Susan Morrison in the Quarter horse news magazine, Morrison starts her article stating that it is more than speculation that splashed white Paint Horses, or any horse with blue eyes and excessive white markings over its face, can be deaf. Morrison mentions interestingly that “Although it’s rare among horses as a whole, deafness has become more frequent in the reining arena ” this being due to the popularity of sires such Spooks Gotta Gun and his brother Colonels Smokingun. Dam of both horses, is Katie Gun; considered one of the top dams of Reining horses in the world. 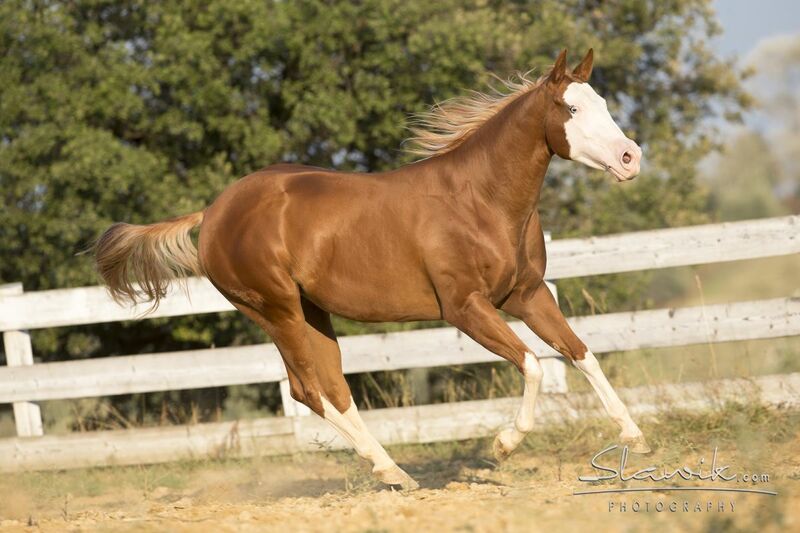 Spooks Gotta Gun was sired by Grays Starlight. A large percentage of the foals by these lines are deaf, though those that ride and train these stallions dont seem to think this is much of a problem. Coat-color-associated deafness is a similar syndrometo the one that causes deafness in white, blue-eyed cats and Dalmatian dogs. If you think you may have a deaf horse you will notice that these horses have less of a flight reflex than their paddock mates and that they may sleep more than other horses. They may be less aggressive as colts/young stallions – and you may notice that they seem spooky when you approach them even though you have been chatting away as you come closer. The legend Smart Chic Olena died June 24 at the age of 27.Smart Chic Olena earned nearly $130,000 in his career as a cutting and reining horse. 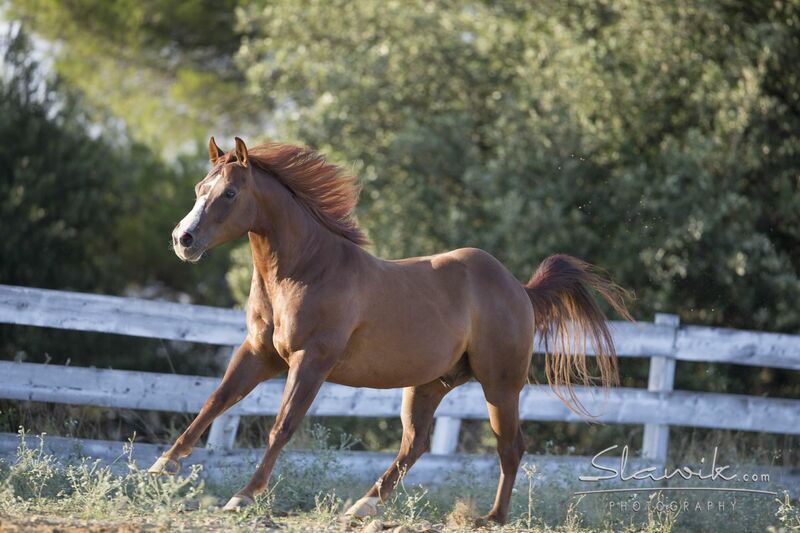 One of our broodmare is a daughter of Smart Chic O Lena, and has produced some wonderful sweet natured foals including the below sorrel gelding, who at three years old has matured nicely. Uno (Footworks One Whizz) meanwhile found a new home. He has gone on to be a pony games mount, a sport I am positive he will do well in. He was always a speedy energetic little horse, and too small to do reining. His new owner needed a pony (under 14.2hh) and Uno hit 14hh perfectly. Its great to see a horse that so badly needed to be ridden actively (he was never going to be someones ploddy happy hacker) find such a perfectly suited owner. Looking at the pictures she has put up of Uno (now called ‘One’) on facebook, it is clear to see that he is going to have an amazing home with loads of love and affection – and hopefully he will soon become the star of her team. We all look forward to hearing more news of how he goes this year, and wish him the best of luck. 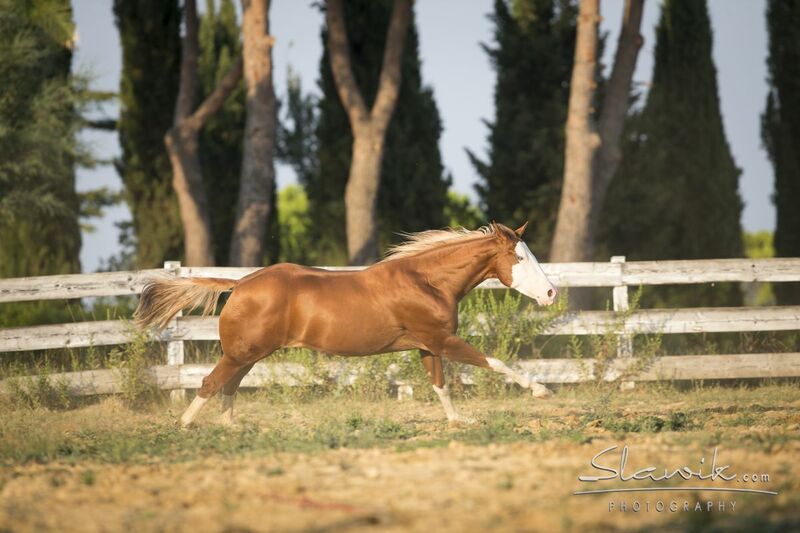 Castellare di Tonda is of course not just a holiday destination, but also a breeding stud. 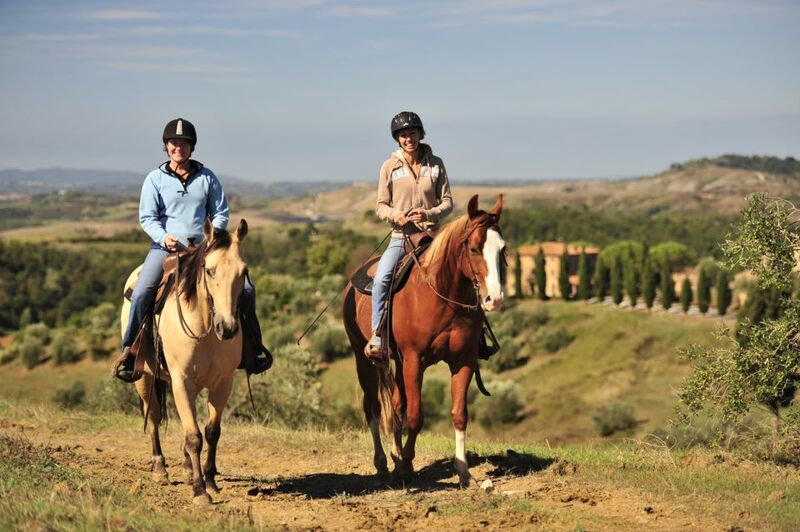 If you are interested in purchasing a quarter horse or Paint horse bred from some of the best international lines, you can try out prospective horses while you holiday here. What better was to make sure the horse is right for you!